There is only one name you should trust when you need construction storage containers in Sacramento. This company is the one that offers you a variety of sizes of affordable construction storage containers and has the right construction storage for rent for your project. No matter if you need on small container for a home remodel or several large containers for a full commercial construction project, the name to trust for your storage needs is Haulaway Storage Containers. With Haulaway Storage Containers you will have the choice of five different sized containers all made from fourteen gauge steel to help give you the protection you need. 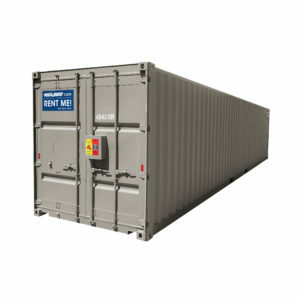 If you choose either the twenty-six or forty foot construction storage containers in Sacramento you’ll have the benefit of the patented Rhino Locking System to keep your materials secure. When you need affordable construction storage containers you need to have one of these to keep your materials secure from theft or vandalism. Not only will Haulaway give you the construction storage for rent you need in the right size, but you also get to have items protected from the elements and weather. With a Haulaway storage container you know you’ll have the guarantee of the security and protection desired for the items you store in the container. This makes it easy to choose the right name in affordable construction storage containers every time. Haulaway offers solutions for the construction storage for rent that you need to ensure you have the ability to store what you need for your project. Trust the best name for construction storage containers in Sacramento and have the storage you need for your project or business so that you can enjoy the added space needed.